1972 Volkswagen Beetle - Classic Convertible Absolutely Beautiful! 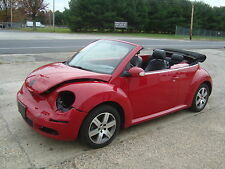 1978 Volkswagen Beetle - Classic Convertible 4 Speed Manual. 1979 Volkswagen Beetle - Classic Convertible 56k Original Miles! Fuel Injected!